Having a video surveillance system or another type of security video system is an essential part of running a business. You need to be sure that you, your assets, and your employees are kept safe. These types of commercial video surveillance systems are designed to prevent theft, vandalism, internal theft, and other forms of criminal activity from occurring on your property. If something does go wrong, having indoor and outdoor video surveillance is the best way to catch those responsible. Floyd Total Security has been professionally installing and monitoring the best commercial security cameras for years. We are a family-owned business, with a focus on customer service. This is reflected in our dedication to finding you only the best security products for your needs. We pride ourselves on our unmatched commitment to customer safety and security, installing only the highest quality equipment to those throughout the area. We also understand that not everyone knows exactly what their video surveillance needs are, or how they can best meet those needs. There are numerous options on the market, and not each one is tailor-made for every security situation. For example, a large business has dramatically different needs from a local boutique. This is why we are happy to offer all customers a free consultation, where a skilled and knowledgeable customer service representative can sit down with you to discuss your unique needs in detail. Floyd partners with multiple manufacturers to bring our customers various levels of video technology. Our professional camera line includes Hikvision, Avigilon, Video Insight, and Panasonic. IP video gives you the ability to keep an eye on things, even when you are no longer on site. Security footage is streamed through an IP site that only you and those you designate as responsible users can access. Our IP camera systems use megapixel technology to allow for better overall footage to be recorded that you can review and zoom into the recorded video. Each one of our cameras comes with a warranty and is professionally installed, so you know you can rely on it to provide you with the security you need. We only use brand-name cameras to give you greater comfort. You can also trust this footage to remain secure, as we prioritize the privacy of each one of our users. Contact us today if you have questions or concerns about IP security. Our experienced representatives are happy to address those issues. Use your existing video infrastructure when upgrading your outdated analog camera system. This helps to cut costs when it comes to labor and wiring. Only replace your cameras and recording device and reuse your existing cable. Saving money on your security needs does not mean compromising its effectiveness. HD footage gives you crystal clear images of what is going on when you are not there to monitor the action. Images are crisp and easy to identify, so if something does go wrong, finding the culprit should be easy. Coax is a reliable way to deliver and save video footage, giving you the peace of mind that comes with fool-proof technology. The advantage and savings of using coax is when you have an existing camera system with cable already in place. We can reuse the existing cable infrastructure and give you a better overall experience with HD cameras. This leads to faster troubleshooting should a technical issue arise, leading to minimal downtime and removing the need for an on-site visit. Always-on technology. Security personnel can’t be everywhere all the time. 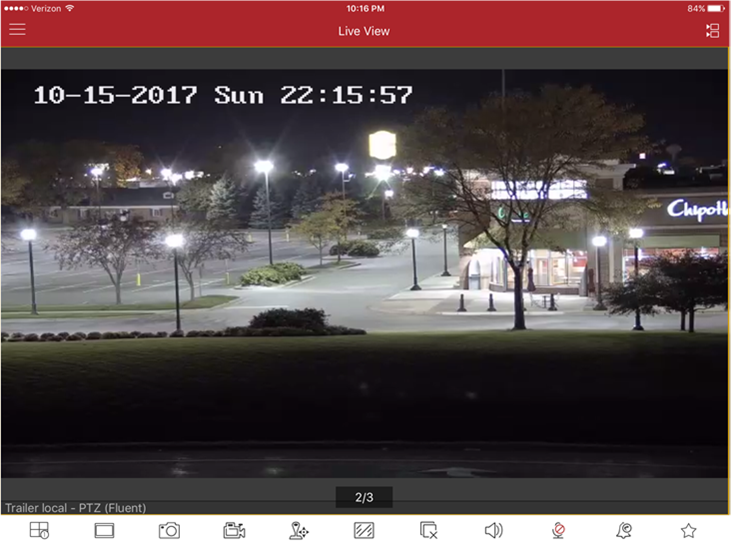 Video analytics solutions can monitor an area 24/7/365. Get the peace of mind you need with your existing system, knowing you're covered all the time, any time. Smart analytics solutions offer pattern-based analytics algorithms, and teach-by-example capabilities, Floyd provides preventative protection through proven self-learning video analytics technology. This type of video analytics has numerous practical applications. They help you identify risk patterns, which keeps your company much safer than with other types of video surveillance. For example, analytics can let you know if your office has vulnerabilities criminals frequently exploit, such as a loose back gate or an easy-to-open window when combined with video verification. They can also let you know if there is a pattern of vandalism or petty theft that you can then take active measures to prevent. Additionally, video analytics can help you identify employees who may begin stealing from your organization, giving you the means to prevent these incidents before they occur. These analytics also give you the evidence you need to take to the police should something happen. Floyd Security’s mobile surveillance trailer “The Site Commander 360” is an affordable alternative to guard services. The site commander can be powered by gas or electricity, which allows the trailer to be deployed at any location for short or long deployments. The Site Commander is perfect for temporary surveillance needs at large events, construction sites and in parking lots. Trying to determine your surveillance needs can be a bit tricky. Not everyone needs a guard on site 24/7. However, your company may need round the clock protection during certain times of the year, or throughout certain events. This is where our temporary security services come in handy. Our Site Commander 360 gives you all the surveillance you need, including cameras and motion detection. The trailer also responds to perceived threats, such as the detection of motion during a time when none should be present. It does so by using a few methods, including floodlights, lumen lights, blue strobes, and the ability to play a message or an alarm alerting the intruder to the secure area and potential consequences. Users can also tailor these systems to include a loud alarm, further deterring any interference with a protected area. We work with some of the best cameras manufacturers in the world. This allows us to bring our customers state-of-the-art equipment at an affordable price. Floyd’s experienced Installers will professionally install your camera system. We’ll leave you with the confidence knowing you were sold the right products to fit your needs, and they were installed properly. With a Floyd video surveillance system, you will be able to look in live through your cameras as long as your recording device has a network connection. Each system has an easy to use dashboard that allows you to quickly see what you need to see. We have the solution to fit your budget. Ask your account representative about our 4 and 6 camera kits. These kits are ready to go. Perfect for smaller spaces.